In order for Iowa to be competitive in the wine market place, it is necessary to produce and market high quality wines of distinct styles representing the Iowa growing region. 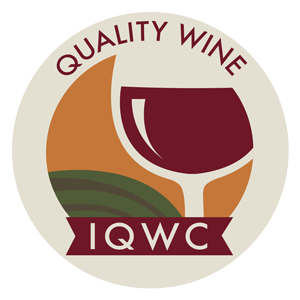 To address this, the Iowa Wine Growers Association, assisted by the Midwest Grape and Wine Industry Institute, has established the Iowa Quality Wine Consortium (IQWC). IQWC will work to increase consumer awareness and confidence in choosing Iowa quality wine. To be awarded IQWC status, wines submitted will need to pass both laboratory chemical analysis and sensory evaluation to be recommended by the Wine Institute Director and approved by the Iowa Quality Wine Consortium (IQWC) board. If deemed appropriate, microbiological examination may also be performed. Wines that fail the chemical analysis tests are subject to IQWC rejection and will not undergo sensory evaluation. Wines that fail the stability test will also be "declined" from certification. However, when a wine fails stability only, sensory analysis will be conducted. Samples submitted that consist of wine that is not yet bottled will be subjected to the laboratory chemical analysis but not sensory evaluation. This sample will count against the 5 samples included in a year membership of the IQWC program. These wines, even if they have satisfactorily passed the chemical analysis, are not formally certified by the IQWC program and these wineries may not order seals through the IWGA. If these wineries would like to formally certify the wines, or order seals, they will be required to submit 3 bottles for subsequent chemical and sensory analysis, which will count for an additional sample of the 5 samples included. Each IQWC sensory panel shall consist of five (5) persons. These five member teams will be selected from a pool of trained volunteers and will serve one year renewable terms. Panelists will be asked to serve during alternating months throughout the year. The panel member pool will consist of persons from the Iowa winemaking and grape growing industries, wine wholesalers and retailers, and other qualified individuals. Each year additional qualified individuals will be selected to the pool based on training and/or passing a proficiency test. Prior to each sensory evaluation, panel members will complete one or more sensory training refresher sessions on wine aroma, flavor defects and structural balance, conducted by the Midwest Grape and Wine Industry Institute (MGWII). Each Iowa winery may nominate up to two members that may be part of the pool. No more than one person representing a particular winery will be allowed on the panel at any given time. Sensory evaluation will occur monthly, depending on the quantity of sample submissions received. If a large number of samples are submitted in a single month, every reasonable effort will be made to have all samples tested. Should few submissions be submitted, the decision to conduct or postpone the sensory panel will be made at the discretion of the MGWII Director. All products shall be tested blind with coded numbers void of any reference to the manufacturer, and grouped according to varietal, vintage year, and sugar content. Wines will be presented individually (one wine at a time) and evaluated on a 20 point scale scoring system. Tasting will be conducted monthly (at the discretion of program manager depending on circumstances such as the availability of a suitable number of samples). Each wine tested shall undergo an organoleptic evaluation. The panel members will sit in an isolated booth and evaluate wines without discussion. In order to monitor panel consistency, duplicate samples may be introduced to the IQWC Sensory Evaluation Panel. In the case of duplicate wines, the higher mark will be accepted. In the event that a wine is perceived as having a sensory defect, a second bottle may be opened and evaluated by the IQWC Sensory Evaluation Panel. If the second bottle contains a similar defect, the score assigned to the first bottle will stand. Appearance & Color (clarity and appropriateness of color) 0-2 pts. Aroma/Varietal Character (characteristic, intensity, complexity, varietal-regional-stylistic) 0-6 pts. Flavor (varietal-regional-stylistic expression of flavor characteristics) 0-5 pts. Balance (acid/sweetness, bitterness/astringency, mouth feel) 0-3 pts. Absence of Faults (marked fault/unpleasant -to- no fault/clean wine) 0-4 pts. Wine must receive a median score of at least 13 points out of 20 to be eligible for quality seal. Off odors: such as lactic, sauerkraut, fusel vegetal etc. Oxidized: Acetaldehyde is the product resulting from ethanol oxidation. Excessive oxygen exposure and/or growth of film yeast, such as Candida mycoderma, can produce acetaldehyde concentrations greater than 75 mg/L, which are perceived as rotten or overripe apple-like and walnut-like or sherry-like. Acetic Acid: Wines which contain more than 700-800 mg/L are perceived as having a spoilage or biological character. Acetic acid magnifies the sensation of acidity and bitterness and, therefore, impacts wine structure. White wines with 880 mg/L or more, and red wines with 980mg/L or more acetic acid, are generally substandard. Wine must comply with the legal limit. Ethyl acetate: In wine, acetic acid reacts with ethyl alcohol to form ethyl acetate. This ester is reminiscent of fingernail polish remover or glue. Wines with an ethyl acetate concentration of 150-180 mg/L or more are impaired. Soap: Fatty acids produced during fermentation can depress the perception of ‘fruit’ and provide soap, candle, and/or a paraffin-like odor. Sulfur-containing compounds: Collectively, these add odors of sulfur, rotten eggs, onions, wet rags, cauliflower, etc. White wines with more than 0.7 mg/L sulfur derivatives are impaired. Sensory threshold for red wines would be slightly higher. 4-Ethylphenol/Brett: 4-ethylphenol is a volatile phenolic compound responsible for animal, leather, and horse manure-like odors. Wines with a concentration greater than 4 mg/L are sensorial impaired. Moldy/Earthy: The result of poor sanitation and the extraction of organic compounds into the wine. Wines smell and taste of beetroot and/or mushrooms. Cork: Moldy-type smells and taste due to 2,4,6-trichloroanisole (TCA) and several alcohols. Due to environmental TCA, this is not always a cork closure issue. Physical Instability: Haze and/or precipitate due to fermentation, protein, bitartrate, tartrate or carbon dioxide formation. Only wines produced and bottled by Iowa wineries are eligible for participation in the IQWC program. Only bottled wine samples may be submitted for certification. Please see the Analysis section for information on tank samples. Any wine found not to be in compliance with both TTB and State of Iowa Alcoholic Beverages Division (ABD) regulations shall be denied IQWC certification. The MGWII will accept sample submissions on a continuous basis. The turnaround time for results will depend on when the samples are received and the total number of samples submitted that month. Wine submitted for evaluation must be received prior to 7th day (or alternative posted deadline) to be included in that month’s evaluation. Normal monthly schedule (Please note that schedule may vary under special circumstances such as holidays. Specific monthly due dates will be determined at least 30 days in advance and are available by contacting MGWII). Fee: Cost of the first 5 samples submitted is included in the IQWC program membership. Additional samples are $50.00 each and can be invoiced for current accounts. Important: For IQ purposes, each batch bottling date and each new vintage is considered to be an independent and separate submission whether or not the label remains the same. Because wide variations in quality can easily occur outside of the bottle, the wine must have been bottled within a 48 hour period of time to be considered part of the same IQ batch. Wine bottled outside of that time frame must be submitted for a separate IQWC certification. Samples should be sent to the address below. For additional packaging and shipping information check our web site: Help Topics. The IQWC designate, MGWII, will send individual result evaluations to the winery, and a copy of certifications to Chair of the IQWC Board. Evaluation responses will remain proprietary, and will be kept in strict confidence. A wine shall be deemed certified when it passes laboratory testing and a majority of the panel determines that the wine is without flaws and the attributes fairly reflect the quality standards established by the IQWC board. This means that the wine must receive a median score of 13 or greater from at least 3 of 5 members for the wine to be certified. In certain instances, the MGWII Director may deem it appropriate to substitute the formal sensory panel with an internal panel. These instances might include a submission that is a new batch of a label that has previously been submitted and approved. A second example would be an expedited processing request. (See below). The internal panel may consist of fewer than 5 members and an abbreviated tasting and scoring process may be used. Internal panels may only be utilized with the written consent of the winery submitting the sample. At the discretion of the MGWII Director, submissions may be accepted for analysis outside of the normal schedule. If approved for expedited analysis, wineries may submit samples for the additional cost of $50/sample. In these cases, results will be provided within 1 week of receipt of submission. Those submitting samples for expedited processing automatically consent to the possibility of internal sensory processing (although actual sensory analysis may be conducted either internally or via a full sensory panel). IQWC members may request reevaluation of a wine which has passed laboratory testing but has been rejected by the sensory panel. The request for reevaluation should be made within 60 days of the certification report via http://apps.wine.iastate.edu. A wine submitted for reevaluation shall be tested with the same procedure except that no member who was a part of the previous taste test shall be a member of the tasting panel on re-evaluation. Wines which have failed laboratory testing will not be reevaluated. Varietal Label may be used on certified wines when at least 75% of the wine is produced from the variety named. A. The Iowa Quality Wine seal may be awarded to wine made from a minimum of 75% Iowa grown grapes. B. The Quality Wine seal may be awarded to wines produced from less than 75% IA grown grapes, other fruits and/or other wine making material. Note: Round sticker seals should be placed on the bottle just above the right front corner of main label without covering any information required by TTB. IQWC will conduct an audit of winery premises at its discretion or when the audit is warranted. The purpose of the audit is to examine winery records and inventory and determine whether IQWC guidelines are followed. Wineries must keep a log, day books or equivalent records that show the process of all IQWC wines through processing to bottling. Wineries must provide official records for Brix. A reconciliation of all inventory by origin, vintage, variety, and wine category is conducted as part of the audit (for Iowa grown grapes). A complete inventory of IQWC wines is established at the first audit. Inventory in bulk and cased goods will be counted and volume in tanks verified. Wineries must support all wine purchases that are intended for IQWC certification. Evidence that a wine does not meet IQWC requirements, or that false information has been provided will result in the suspension of wine approvals. Investigations may be conducted in addition to the normal audit process at any time and without prior notice. After an audit is completed, the winery will be notified if any further information is required or if any discrepancies have been discovered and what action must be taken. No follow up is required if no issues are raised during the audit.